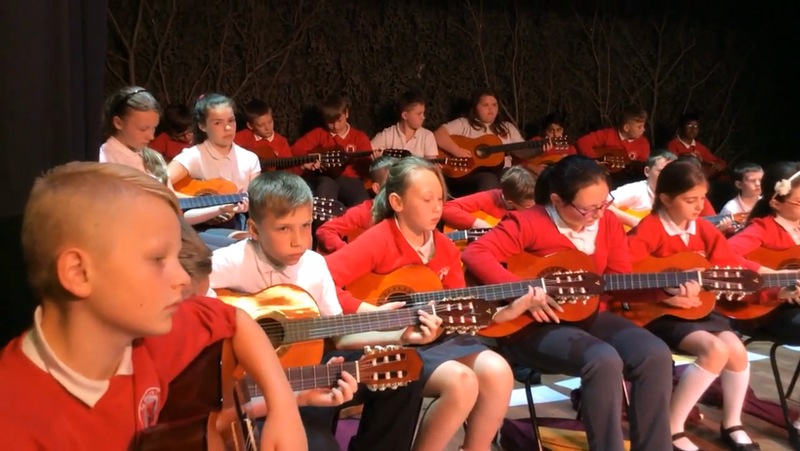 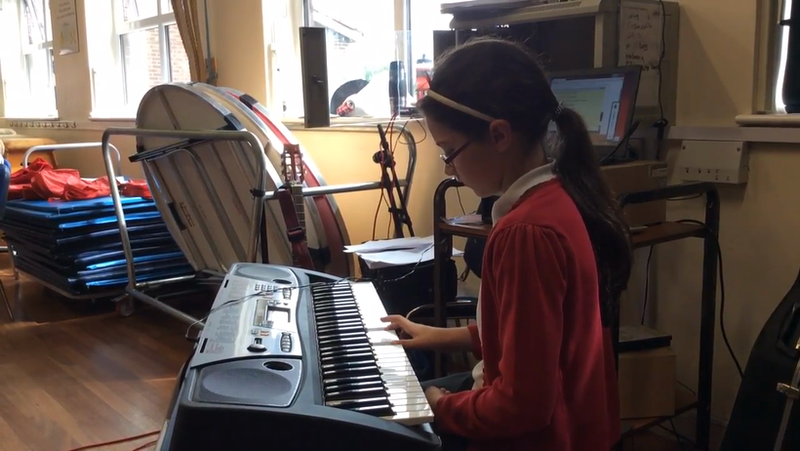 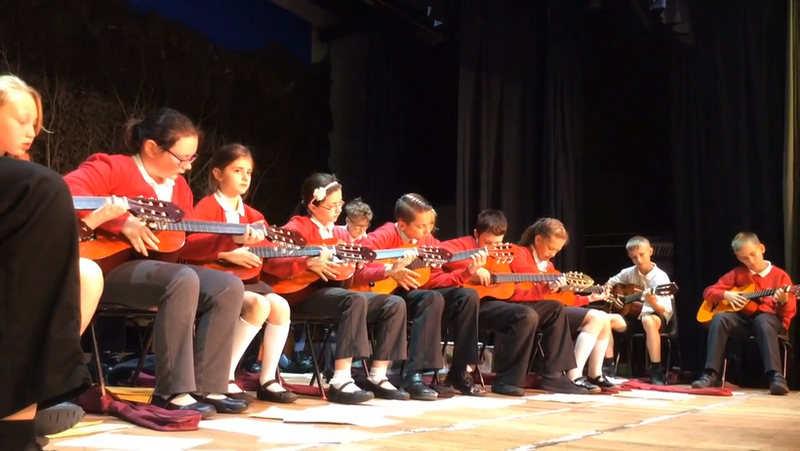 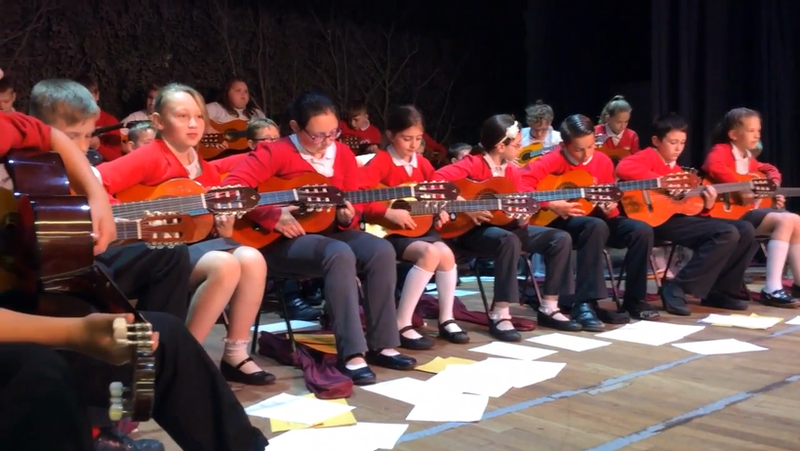 The Upper Junior Department performed various songs they have learnt on ukulele and guitars. 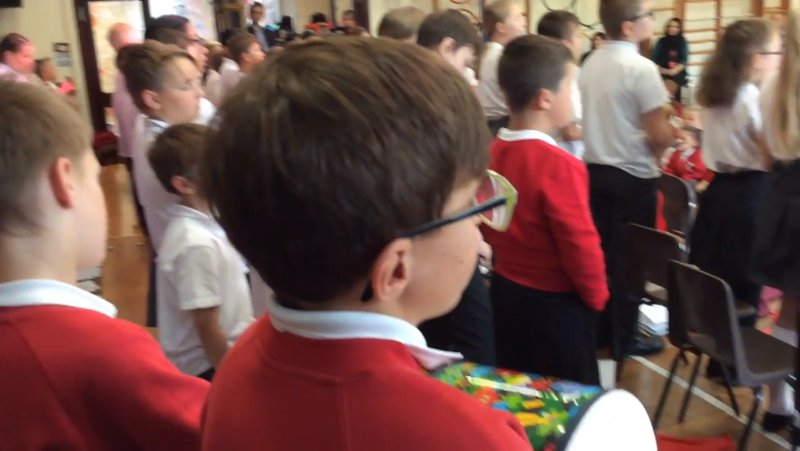 Together with wonderful singing and percussion, we entertained the rest of the school and parents. 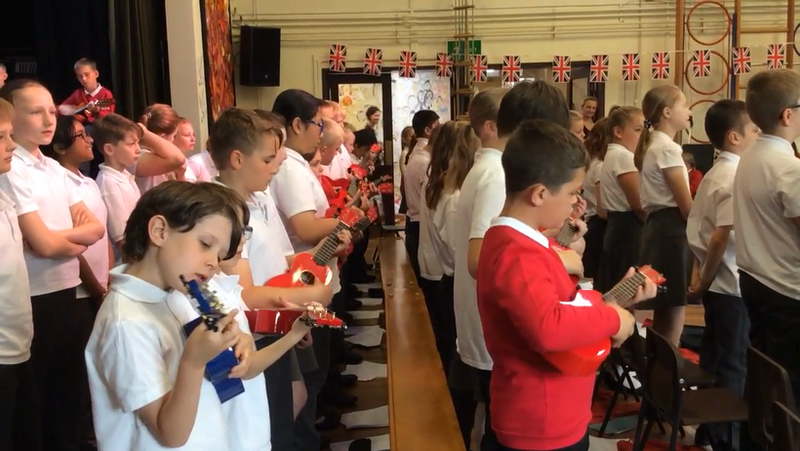 Hits like 'Mamma Mia', 'Take me to Church', 'Lean on Me', went down well. 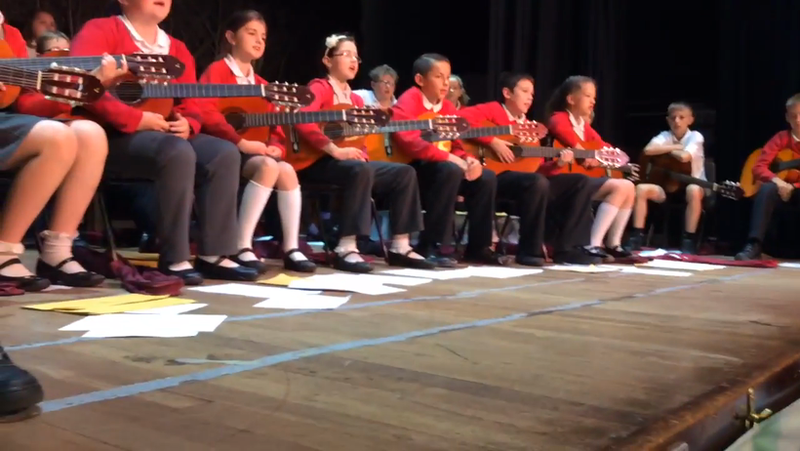 3 children also performed as a small group on guitars.